Richard Franz Joseph Heuberger hailed from Graz in Austria, where he was born on 18 June 1850. He studied at the Graz Conservatory and then went to Vienna where he became chorus master of the Wiener Akademischer Gesangverein, conductor of the Wiener Singakademie (1878), director of the prestigious iWiener Männergesang-Verein (Vienna Men's Choral Association) and, in 1902, a teacher at the Konservatorium der Stadt Wien. He was also a music critic and was Eduard Hanslick's successor on the influential Viennese newspaper, the Neue Freie Presse. His own literary works included various sketches, essays and a biography of Franz Schubert (1902). As a composer he wrote operas, ballets, choral works, songs and much orchestral music, besides arrangements of works by Brahms and Schubert. When he was in his forties Heuberger turned his hand to writing operettas, six of which were performed. It was, however, with the first of these, Der Opernball (The Opera Ball) in 1898, that Heuberger achieved his most lasting fame. Particularly interesting is the fact that Heuberger was the original choice to set the book of Die lustige Witwe (The Merry Widow) to music. To his credit, after toiling uninspired for three years (1901-1904) on the first act, he raised no objection when the task was entrusted instead to Franz Lehár. 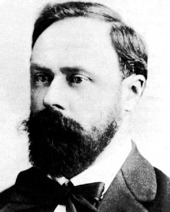 Richard Heuberger died in Vienna on 28 October 1914.